We are a small school, where every child can be the leader, every child can have a turn, every child can contribute to the discussion and ask questions, every child can shine. Teachers send home to the parents detailed lesson plans a month in advance. This helps communication between parents and children. You will know what to discuss with your child each day and make him/her comfortable about what they will be doing in school that day. 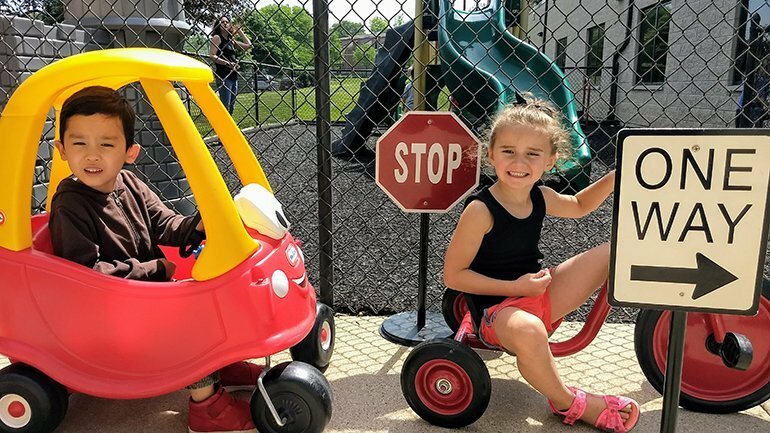 With our reading, phonics, writing, and math programs, our goal is to instill in the children a genuine joy of learning with a positive attitude toward and about themselves. With a maximum of ten children in a class led by a certified, degreed, experienced teacher – the staff easily meets the diverse needs of each child. 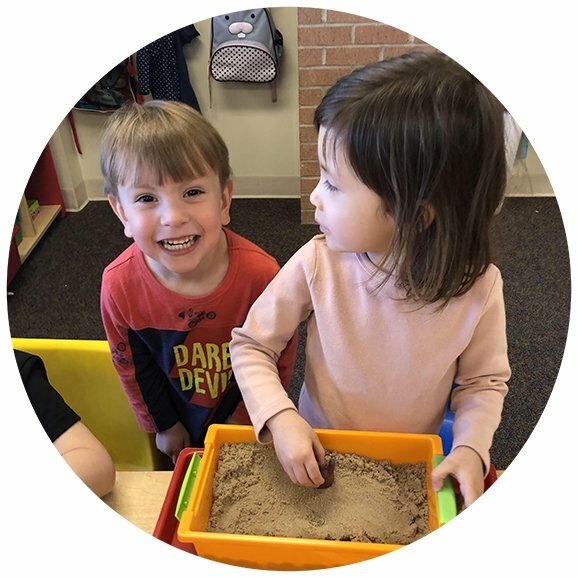 M,W,F 11:30 – 1:45 This class is an extension of our preschool program and is offered to our MWF and M-F morning children who will be attending Kindergarten the following year. Weekly enrichment activities include Phonics and Literacy, STEM Exploration, and Creative Music and Art. 5 mornings 9:00-11:30 or 5 afternoons 12:15-3:00 Curriculum is designed for late-four, early-five year old developmental level, as well as a supplement for children already in kindergarten. 2, 3, or 5 half days, 9-11:30 Curriculum is designed for late-four year old developmental level. 4 half days, M – TH, 12:15 – 3:00 Curriculum is designed for mid-four – early five year old developmental level. 2 or 3 half days, 9-11:30 or 12:15-3:00 Curriculum is designed for three and four year old developmental level. T-Th, 9-11:30 Curriculum is designed for 2 1/2 – 3 year old pre-academic developmental level. We use I Can Problem Solve (ICPS*) and Raising a Thinking Child for problem solving, conflict resolution, and logical thinking. *ICPS is used in most Naperville grade schools.